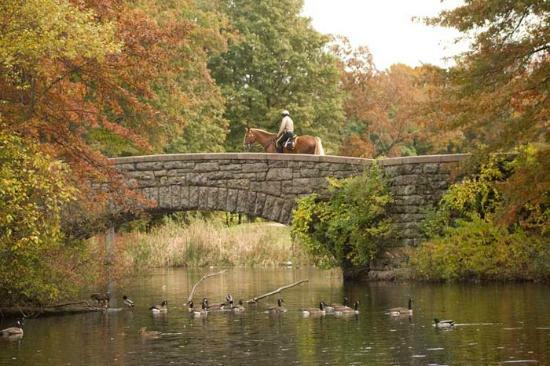 Frederick Law Olmsted designed Franklin Park as the crowning jewel of his revolutionary Emerald Necklace project. Although he originally planned Dorchesterway to link the line of parks back to Boston Harbor, the plans for this section were abandoned by the time Olmsted began to design Franklin Park. Thus he viewed it as the ultimate destination in a long procession of parks through the city. In the late nineteenth century, Boston was a rapidly growing and changing city due to the filling in of the mud flats around the edges of the peninsula. The quick development and the crowded urban conditions made public health a major issue, and for this reason the City of Boston raised its debt limit and borrowed two million dollars to construct the five hundred acre park, which took several years to build. 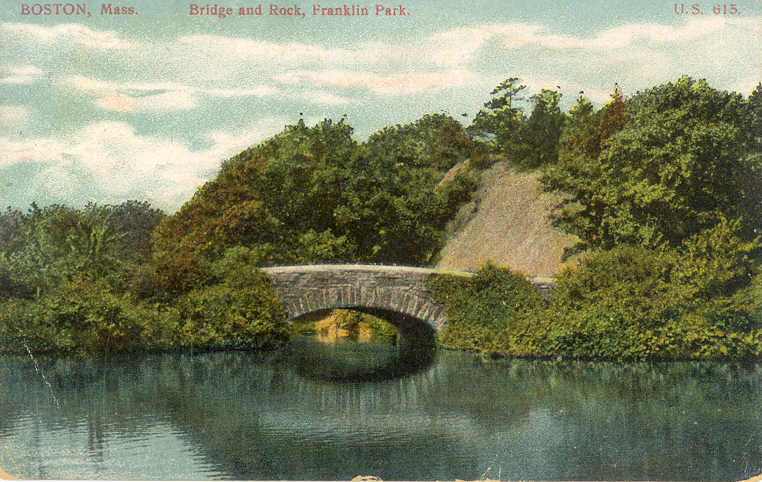 Olmsted’s original vision for Franklin Park was what he termed a ‘country park’, which would be a landscape designed purely for rural scenery and atmosphere. 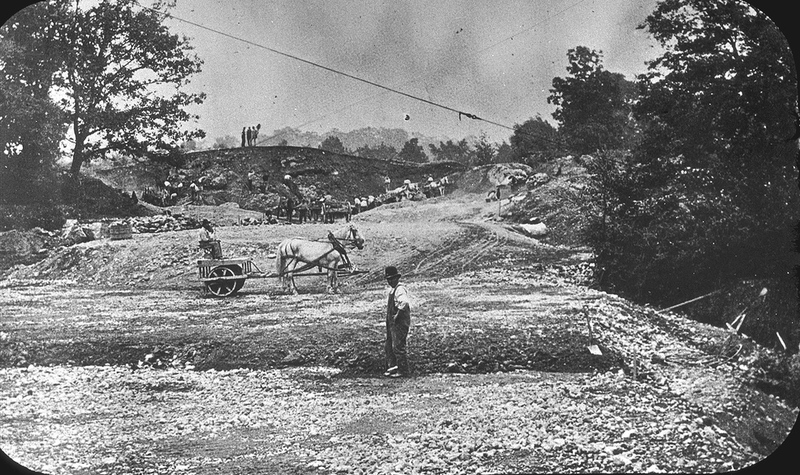 The pressure to address public health, which he had done successfully already in the other sections of the Emerald Necklace, resulted in a compromise. Olmsted designated a one mile by three-quarter mile strip to be the country park, but he also included the Playsted, an area dedicated to baseball, tennis, and croquet fields. 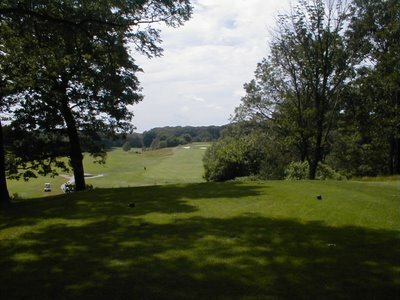 This athletic area, which was originally a large meadow in the northern section of the park, is now the site of the stadium and a parking lot, and the majority of the open space that was originally the country park is now the municipal golf course. 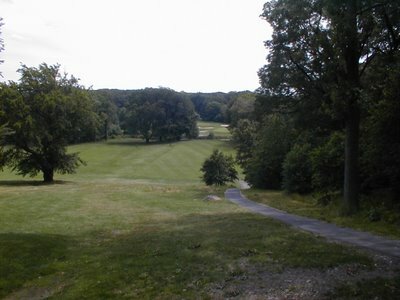 Although Franklin Park has changed in many ways from Olmsted’s original design, his vision is still imprinted upon the landscape. The sheer number of people in the park is undoubtedly more than he had imagined, but his philosophy of bringing together people of different social and cultural backgrounds from different parts of the city arguably lives on most strongly here in Franklin Park. This is a reminder that despite the inevitable change of any physical landscape over time, identifying and designing with a timeless philosophy such as Olmsted’s will allow one’s work to affect people and communities in the same way that the Emerald Necklace has affected Boston for the past hundred and twenty years. Franklin Park is in the southern part of the city, between Dorchester and Jamaica Plain. It is accessible both by car and the T; due to the large size of the park. Click here to find the most convenient T stop or parking lot for the section of the park you wish to visit. The next time you have a morning or afternoon to relax, head on down and check it out. Be sure to take your sketchbook, as there are endless opportunities for quick sketches, watercolors, or any other media.